Ridge Racer by Namco is a famous arcade car racing game series often featuring as launch titles on Sony consoles. I fondly remember playing it on my original PlayStation console in 1995... Now Namco has decided to release a game from its premier drift-racing series for free, on PCs and on PS3 consoles, using the Free-to-play (F2P) micropayments model. What is behind the F2P decision? Well apparently while the last version of the game, released on PC, PS3 and Xbox 360, garnered mostly excellent game reviews it wasn’t much of a commercial success. It’s also worth noting that while last year’s Ridge Racer Unbounded was made available for the Xbox 360 the new F2P version will not launch on that platform. Metro suggests this is because the Xbox Live e-tail model is more restrictive about the kinds of micropayments required by many F2P games. Joystiq reports that the purchasable items within the game will include cars, repair kits and “XP packs”. At this stage we don’t know what basics you will get if you don’t want to buy anything in game. Prior to this F2P initiative Namco Bandai apparently experimented with offering a selection of cars and courses as DLC in the $30 Ridge Racer for Vita game. We reported at the beginning of March how EA chose to make the latest Real Racing title, the third in the series, an F2P title and polarized the opinions of gamers. 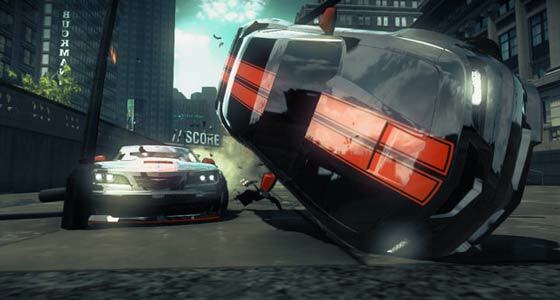 The new Ridge Racer Driftopia has been developed by Bugbear Entertainment, the team behind 2012’s Ridge Racer Unbounded. Want a car? That'll be £20. Wheels? £20 each. Nah - they'll be a free car, probably an Austin Allegro though (but if you want the Equipe stripes that'll be another £80 please). The free starter car you get will be a Robin Reliant.